A spokesperson for the Canada Border Services Agency (CBSA) said the decision was made Friday but did not indicate how long the moratorium may last. The Canadian government has temporarily halted deportations to Haiti as violent protests continue to grip Port-au-Prince, the country's capital. A spokesperson for the Canada Border Services Agency (CBSA) said the decision was made Friday, but did not indicate how long the moratorium may last. People who are under removal orders could include those accused of crimes or those who are in Canada illegally. A number of Canadians are also stranded in Haiti, unable to get out safely. Prime Minister Justin Trudeau commented on the situation during a morning event in Ottawa. "Many Canadians have family members and friends in Haiti that they are, of course, worried about, and our hearts go out to them and we are offering our support," he said. Trudeau said Global Affairs Canada and the country's diplomatic corps are working to keep Canadians who are trying to return home from Haiti informed. But Katherine O'Neil, a registered nurse from Montreal, said she has received very little information from the government, especially now that the embassy has been closed for days. She left the city Feb. 6 for what was supposed to be a week volunteering in a clinic in Petit Paradis, a town south of Port-au-Prince. "We didn't receive an email, a phone call, a text message, nothing. What we would have appreciated was for them to reach out and say we're closing, this is your contact person, they will be in touch with you, they will let you know how to proceed. But we didn't receive that." And while she can communicate with family members now, she is worried that cellphone and internet service will eventually go down. "We won't know when it's safe to proceed to the airport. We won't be able to get messages to our families that we're safe. And for me, that's scary." 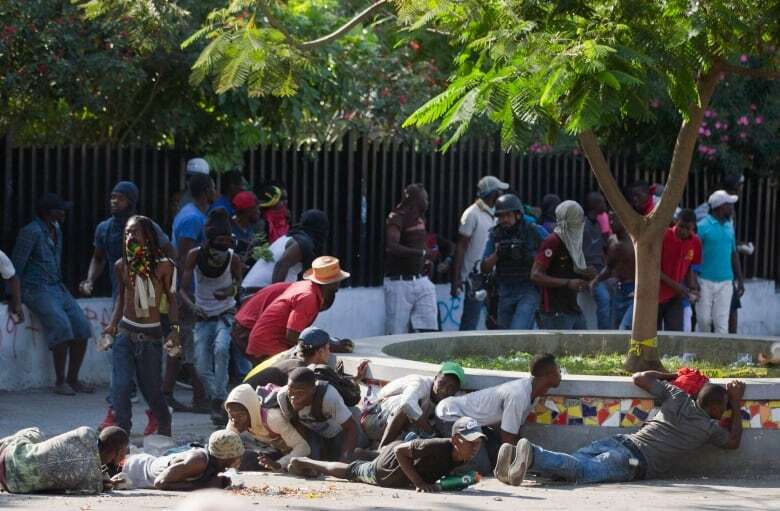 Over the past eight days, at least seven people have died as Haitians protest against high unemployment rates and skyrocketing inflation. They are demanding President Jovenel Moïse step down, which he has refused to do. When asked whether Canada would continue to support Moïse's presidency, Trudeau would only say that Canada will "continue to provide assistance to the people of Haiti." Protesters are blocking roads in and around Port-au-Prince, making it dangerous and, in some cases, impossible for some Canadians to get to the airport, which is in the capital. Groups from New Brunswick, Alberta and Quebec say they are stranded across the country and waiting for the OK to travel toward Port-au-Prince. A group of 26 high schoolers and four adult chaperones from Victoriaville, Que., have been in Haiti since last week. They were there on a humanitarian mission and are scheduled to return Feb. 20, according to Radio-Canada. Quebec Premier François Legault said Friday that Air Transat is working with local authorities, the Canadian embassy in Haiti and the Canadian government to charter three helicopters to transport 113 vacationers from a resort northwest of Port-au-Prince to the airport, then fly them to Montreal. 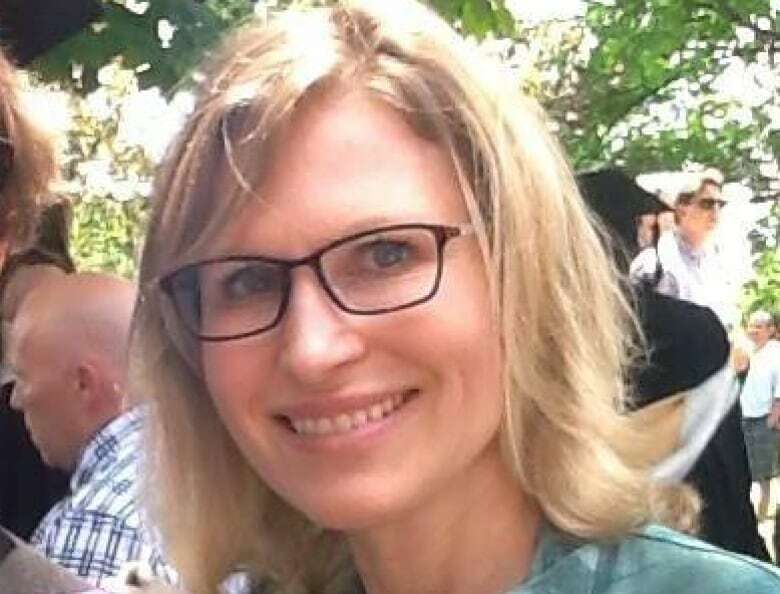 O'Neil and her colleagues — a nurse from Nova Scotia and six from Ontario — are scheduled to return to Canada Monday aboard an Air Canada flight, but she is not sure whether that will happen. Manned barricades are preventing her group from getting to the airport. She said she heard another group staying nearby tried to travel to the airport, ran into barricade and had the windows of their vehicle smashed. 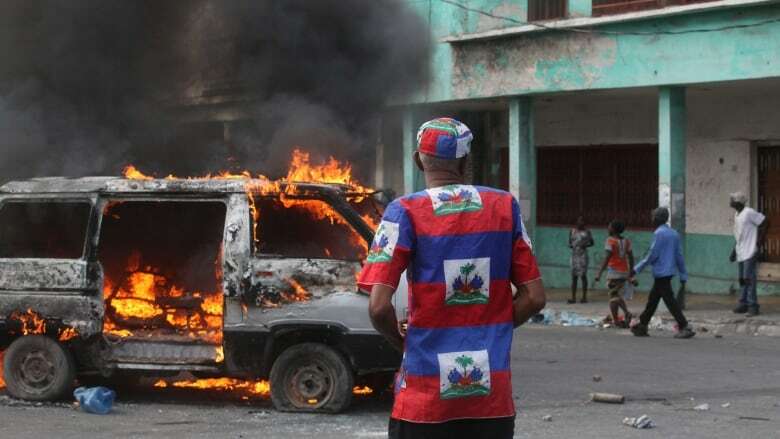 "There's been unrest in Haiti forever, so that did not come as a surprise, but the escalation of the violence, the escalation of the unrest, is something that we didn't expect." On Thursday, the Global Affairs Canada website warned against non-essential travel, but the notice was updated Friday morning, warning the "security situation could further deteriorate quickly" and people should "consider leaving by commercial means while they are available." This isn't the first time such delays have been put in place — in November, CBSA stopped removals to Haiti due to protests over fuel price hikes in Port-au-Prince.